Digitability developed easy-to-use tools to help make progress monitoring and data collection easier. 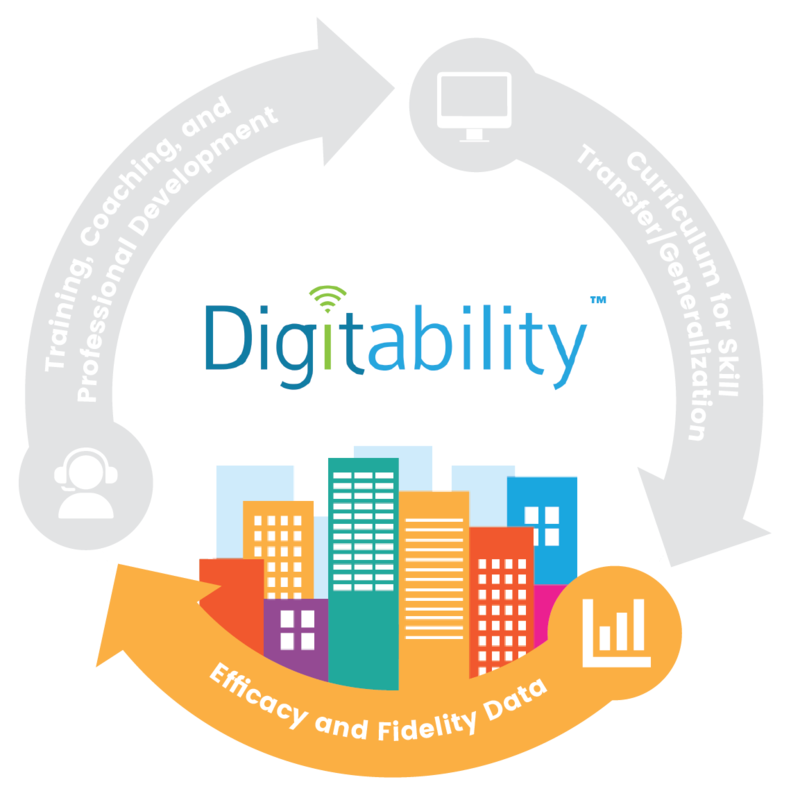 Digitability is a company driven by scaling measurable progress for people with neuro-diverse needs. We understand how important data is to informing instruction. That's why Digitability developed easy-to-use data and reporting tools to help make progress monitoring easier. 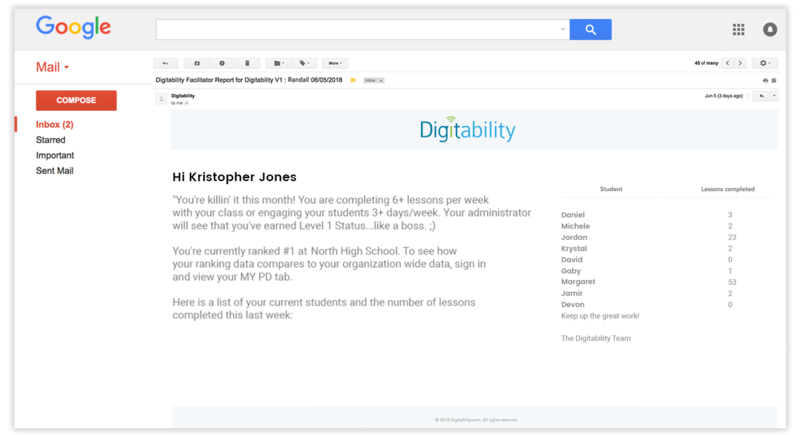 Digitability's software measures student progress with a click of a button AND emails teachers and administrators reports weekly. 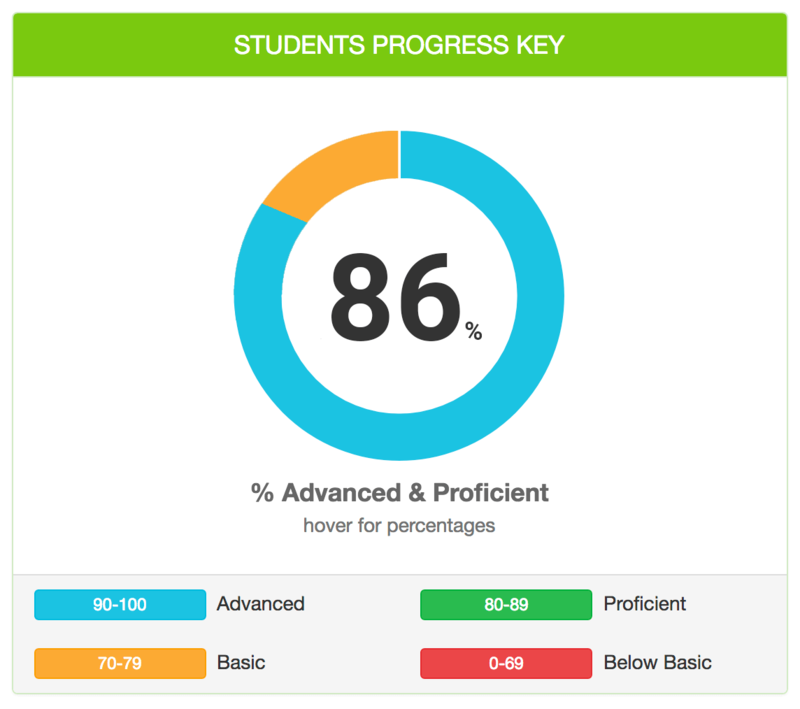 Teachers, supervisors and administrators can easily track student progress and performance through our monitoring tool. You can generate a report with the click of a button and Digitability will automatically email reports on student efficacy and fidelity. Digitability's curriculum is backed by the best, evidence-based practices, such as Applied Behavior Analysis. 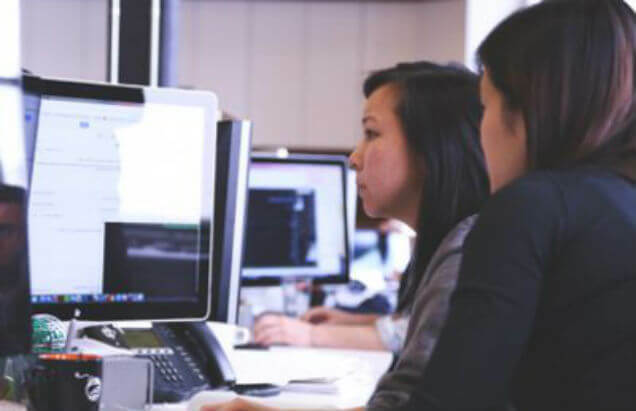 Our specialist work with your educators to support data-driven instruction to increase outcomes throughout your entire organization. 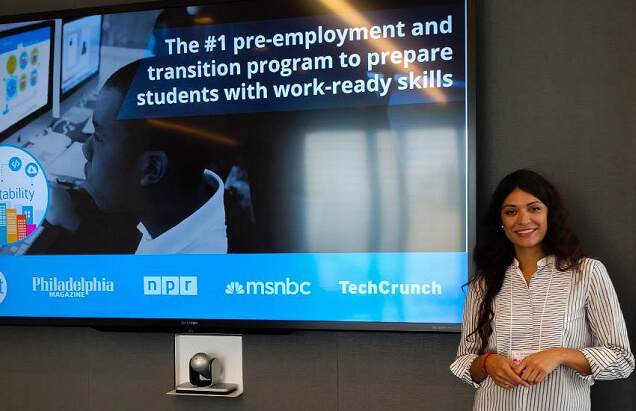 Parents or other members of the Individual Education Plan (IEP) or work training program planning team can be kept in the loop on student progress and milestones. 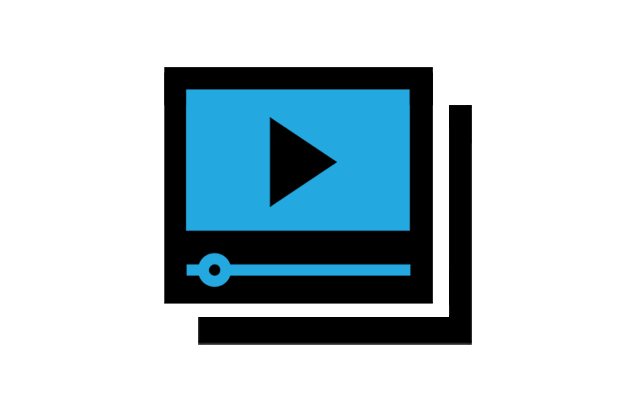 Digitability provides a number of communication tools for sharing progress. Team members can also be added to each student user's profile, so they can also receive updates on milestones reached and be included in the work-ready and social-emotional development training.